VDP or Variable Data print actually arrived on the scene due to the advent of digital printing. It allows you to create customized information on each copy rather than printing mass volumes of the same information. 24 x 7 Print Facilities and Automated enveloping and distribution solutions, Dedicated Operations, Software and Engineering teams. 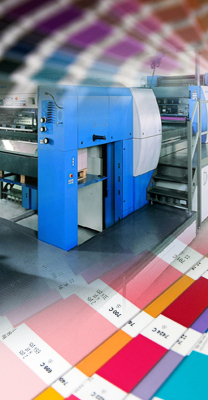 World-class Pre-Printing, Printing and Post-printing automated solutions. Highly secured environment with CCTV, time and access control systems, power back-up and broad band connectivity to transfer customer data.